It turns out that Apple, which is probably the only manufacturer in the world that doesn't allow a second logo (that of the carrier) to appear on its phones, is also taking its time to test if a carrier's LTE network is really good enough for its iPhone 5. Usually, it's the other way around, with carriers testing if manufacturer handsets are fast enough. 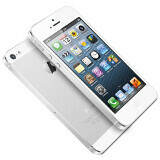 This info comes courtesy of the spokesperson of carrier Swisscom, who has confirmed that Apple only activates the 4G LTE connectivity features of the iPhone 5 once it has ensured that the network is up to the task. The result of this is that Swisscom, which has recently launched its 4G network, wasn't able to activate 4G on the iPhone 5 right away, because Apple had to finish its testing first. This practice is surely annoying the carriers around the world, but it looks like Apple is in the position to do it. Of course, Apple is doing this for its own good (and for its customers' good), but we can imagine that if we were a carrier, we'd probably want to punch Apple in the face for doing this to us! On the other hand, if you are a carrier, Apple is probably better than no-Apple, so we guess it's a necessary evil. If it cared about service and speed then why was it on AT&T so many years? That's because Apple was not in a position where it could just tell AT&T to lift its skirt up so Apple can peep under it when the first or the second generation of iphones released. For a time let's forget about Apple's evils and praise Apple for its position to protect interests of its customers. If every OEM can do the same the winners are the consumers. They went to Verizon first, and were told no. So AT&T took the chance and had exclusivity for years. Do a little research, it goes a long way. If it was all about speed then back in 2007 Sprint had the fastest mobile broadband network. The whole thing about the iPhone being pitched to Verizon first is a rumor. By all accounts, the phone was offered to and by Cingular, which later became AT&T. We must thank Verizon for that, then Verizon replied Apple with its Droid brand and Android took off. Well done Verizon. dearkjedi I am well aware of the turn of events that led to that exclusity deal. Here some research I did for you so you can understand my comment: irony i·ro·ny 1 [ahy-ruh-nee, ahy-er-] Show IPA noun, plural i·ro·nies. the use of words to convey a meaning that is the opposite of its literal meaning: the irony of her reply, “How nice!” when I said I had to work all weekend. In·ter·net [in-ter-net] Show IPA noun an online social realm where users make bad jokes and blame others for failing to understand the "irony" or "sarcasm"
GSM is open and at&t was top dog then. there is no official iphone 3G/3GS for sprint, but I believe that there is or has been a free iphone 4 for sprint out there. Of course, the data speeds are terrible. I happen to have an iPhone on Sprint, and I know 4 other people that also do. I happen to love Sprint. Yes, it may have less coverage, but I think people exaggerate how much less it is. I still get full bars almost everywhere and the data speeds aren't bad. I can load up pretty much anything I want to. And with the cheaper plans and unlimited data, it was a perfect fit for me. Now stop making such stupid and uninformed (and quite frankly, poorly typed. Did you even graduate middle school?) comments and leave your misinformed opinions to yourself. Poorly typed, yes. Misinformed, no. Everyone knows that Sprint's data speeds fall behind the other big three. That may be true but its still sufficient for a lot of people and can handle various data based apps just fine. I'd rather have slowish data than have my data go fast, both in speed and the amount I am allowed to use for the month. AT&T and Verizon data is like a ferrari with a 2 gallon gas tank. It'll get you there fast but wont get you far. Sprint had some issues with 3G data speeds in the past, just as AT&T did when they introduced the iPhone, except AT&T had issues with dropped voice calls which Sprint hasn't had and their coverage is very good. The reality is that Sprint is re-building and upgrading it's networks from the ground up, nationwide. Data speeds with WiMAX were and still are good in most areas except coverage is somewhat limited. Once they made the switch to LTE, speeds have increased tremendously, including 3G speeds which will increase exponentially with the addition of the Nextel spectrum. Apple, I don't like you. I just don't. We couldn't ever be friends. Apple will always be the bad company everyone hates. and why the hell are they testing their phones on LTE when its already availble? This is just stupid. I would not say always. There was a time when Microsoft was in the same position too. Now that Microsoft is an underdog, people are starting to root for it again. If Apple falls and Samsung takes over, I am pretty sure it will become a bad company everyone hates just like Apple. And people will start rooting for Apple again. American just loves rooting for underdogs. I would say samsung is a good company now. Just better than the alternatives. And still better than apple. If apple falls again, I think it will be their last hoorah. The only real "innovative" idea they ever really had was the "iPod". People loved it, then because it became a household name, and a status symbol, people had to have the iPhone. When the iDevices stop being a status symbols, apple will die. They really offer nothing in the way of innovation and frankly they are just too stubborn to try and make something "different." New networks. There's still a lot of networks that don't carry the iPhone and not all have LTE, or are just getting it. Actually, this is brilliant on their part. Honestly, if more OEM's did this, we probably would have the issues we have now with getting updates. Screw the carriers, they are DUMBPIPES. That is where they belong. They should not be adding crap(bloatware) to the phones, and they should not be forcing OEM's to lock bootloaders and the like. THEY SHOULD STAY THE HE77 OUT OF THE SOFTWARE BUSINESS. We don't need them screwing up the phones anymore than they already have. PS, I hate apple. But I respect them on this. Your highness, whilst thou checkest the LTE network... Should not we re-order the earth according to the first order of iMaps??? Sounds mighty conquering!! This is one area which I can appreciate Apple. I like how they do NOT allow the carriers to bully them around and make crazy demands.. like.. allowing Verizon to put their logo on the Note2 home button.. WTF!!! I would like other manufacturers (and google) to get a little bit stronger with the carriers. I'd would help with more Verizon issues like the Nexus being multiple updates behind. That's just WRONG.